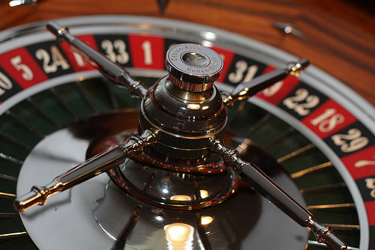 The internet is awash with websites to unlock the secret to roulette but the fact is that roulette is a game of chance. However, there are few things the high rollers do to boost those chances in online roulette. Some punters are convinced that you should never hit the roulette tables without being armed with a strategy or system. There are countless websites offering ‘roulette computers with a 93% success rate’. The makers of these machines claim that these computers are able to calculate the rate of the wheel and ball. However, the fact is that the efficacy of such contraptions is dubious at best. This is especially true of online gambling, with roulette from 32red.com and other reputable online operators using random number generators to keep things clean and honest. Some say that you can use randomness to your advantage. The theory is simple, if you lose, double your bet. If you win, halve it. For example, if you start with a £5 bet and you lose, bet £10 on the next hand. If you lose that one, then bet £20 next and so on. The theory goes that by doubling your bet each time, you’ll eventually catch up and win. But when will you catch up? No one knows. Really, the best strategy is to just be sensible with your money. Besides, even the best strategy in the world cannot predict random numbers. Many people question whether online casinos are rigged, which is understandable considering that operators have so much power to basically do whatever they want out of the view of punters. With this in mind, we recommend that you only play at internet casinos with a good reputation, such as the aforementioned 32Red or Golden Tiger Casino. Such operators hold full licenses and are fully regulated by international gaming authorities and independent auditors. One way you will definitely improve your odds of winning is choosing French, or European roulette over the American version. This is because the US wheel has a few ‘0’s on the wheel which makes it harder for you and increases your disadvantage against the house. Whereas European and French roulette gives the house an edge of 2.7%, that advantage is almost doubled to 5.26% in the US version due to the presence of extra numbers. Betting on black and red, or odds and evens will further increase your chances of winning. In fact, these are just about the best odds in any online or offline casino. And while each single bet won’t offer you the best returns, this will give you staying power and it is where the smart money is. If you have £400 to bet and you lose it – walk away (or switch off your computer)! It is rarely wise to go back and try and win your money back.